This photo captures a pivotal moment in my life. It was the day when I left home in September 1982. The day I went off to Mattersey Hall Bible College. 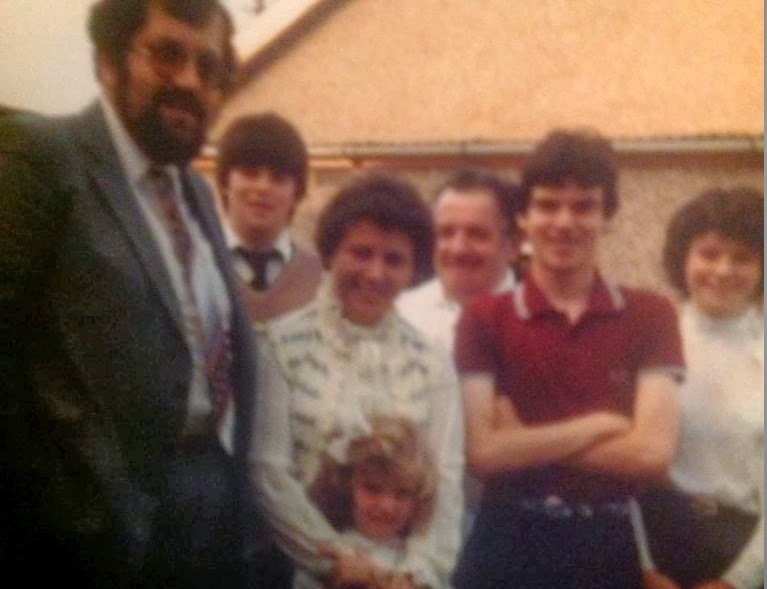 Waived off by my Pastor Roger Blackmore and friends James Scott and Jacqueline Edwards, my mum and dad would drive me to England and leave me in the country that would become my home for now, 31 years plus. Yes I would visit Scotland for holidays but at 19 I effectively left home, which seems slightly strange as that is how old my son is now. Make the most of your next two years at college you will never have an opportunity like this again in your life to dig into God and His Word. God is not disappointed in you. You cannot earn His love and you can't lose it by failing. When you understand that you will do things out of love that you will never do out of fear. Rest in His grace. Friendships are priceless. Cultivate them no matter the distance, make the call, take the trip, you never know when it will be too late. Your passion is going to get you into hot water. It is a great strength but sometimes your greatest weakness. Learn quickly to channel it. Too many things you think are nonnegotiable now you will u-turn totally on in a few years time. Hold things lightly except your character - fight for that. You can learn from everyone, especially those who see the world different to you, let them into your world. Don't try so hard to be noticed in other people's eyes. Live for an audience of one. No matter who knows your name it is known by Jesus. You are going to meet the most incredible woman in the world. Do not waste your time dating anyone else when you meet her you will know why. Then do everything you can to encourage and enable her to be all she can be. It will be the most amazing honour you will have in your life. Brilliant on the first 9, couldn't comment on 10!